As Yves Saint Laurent once said, ‘fashions fade but style is eternal.’ While he was talking about clothing at the time, we’re firm believers that his words have equal relevance when it comes to homes. After all, styling yourself and styling your home really aren’t all that different. Both involve careful consideration of form and function, provide an opportunity for creative expression and are ways of communicating something with the wider world. With this in mind, we’ve pulled together five tried and tested fashion rules that can be applied to your home with equal success. Let’s take a look. You’re probably used to accentuating your best bits when it comes to fashion, whether you pick colours that make your eyes pop, choose cuts that show off your waist or opt for statement necklines that draw attention to your shoulders. Why not apply this same approach to your home? Is there a stunning architectural feature in your living room? A glorious view out your kitchen window? Or maybe a fantastic piece of statement furniture you’d like to play up? Whatever it is, help your home draw attention to its best bits by considering placement, colour and light and adjusting them accordingly. 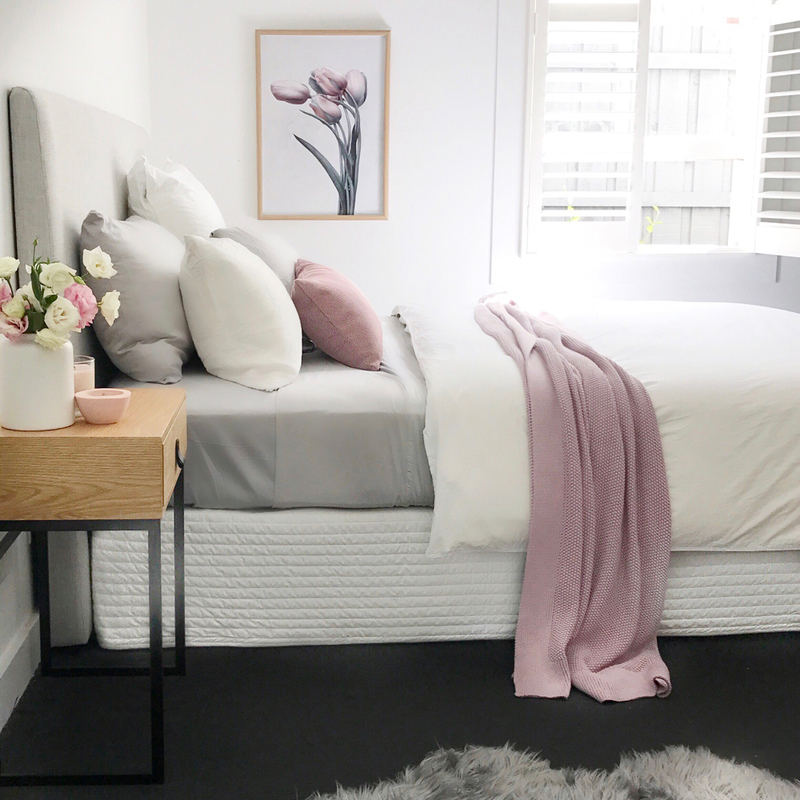 Just as every girl should anchor her wardrobe with a great pair of jeans, a stylish white button up and a classic trench, every home should start with the solid foundations of unfussy surfaces, clean lines and neutral bedding. This allows the space to ooze style rather than trend, acting as a perfect base for bright accessories and statement pieces. Consider your bed as a starting point. A beautiful quilt cover in a neutral colour is much easier to dress with cushions and throws than one in a bright, busy pattern. It also allows you to bring a sense of cohesion and calm to the room and makes seasonal updates easier to achieve, just like adding a pair of this season’s tassel earrings to a trusty jeans and white shirt combo. You really don’t need big bold tricks to define or change your look. Chances are we’ve all fallen under the spell of a $15 t-shirt, feeling chuffed about securing some sizeable savings only to find ourselves back at the shops purchasing a more expensive version two weeks later; the $15 original having shrunk multiple sizes after the first wash. Avoid this fate with your homewares by treating furnishings like an investment. Paying a little bit more will result in pieces that last longer, look better, and feel far nicer to touch. While the $12 polyester towel from your local discount store might seem like an enticing bargain, it’ll be far less absorbent, nowhere near as soft and start pilling much earlier than Egyptian Royale Collections which will absorb up to 20% of its own weight in water before it feels damp and is guaranteed to last 3650 uses. While you may buy some less expensive items on a whim, try to funnel a little more into those pieces that feature prominently and will be used frequently. As well an enjoying their superior quality, you’ll end up saving money by having to replace them less frequently. This is a fashion lesson we probably learnt sometime in our mid to late twenties when we started swapping towering stilettos for more modest heels, enjoying a new found ability to last longer on our feet and distinct lack of blisters the following day. Our homes should be comfy too; something which may mean opting for the dining chairs with cushioned seats over those composed solely of intricate metalwork, or adding plush rugs to polished wooden floors. Up the comfort level in other areas of your home by choosing bedding made from natural fibres, installing soft lighting in rooms where sitting or lying down is the primary focus, and gravitating towards lounges with a chaise or footrest so you can stretch out and put your legs up. Personal style is just as important in your wardrobe as it is in your home. While display rooms look great in the shops, recreating them at home results in a cookie-cutter feel and stifles your own creativity. Show your personality through colour choices, artwork and quirky accessories so that your home becomes an extension of you. After all, this is what great style is all about. 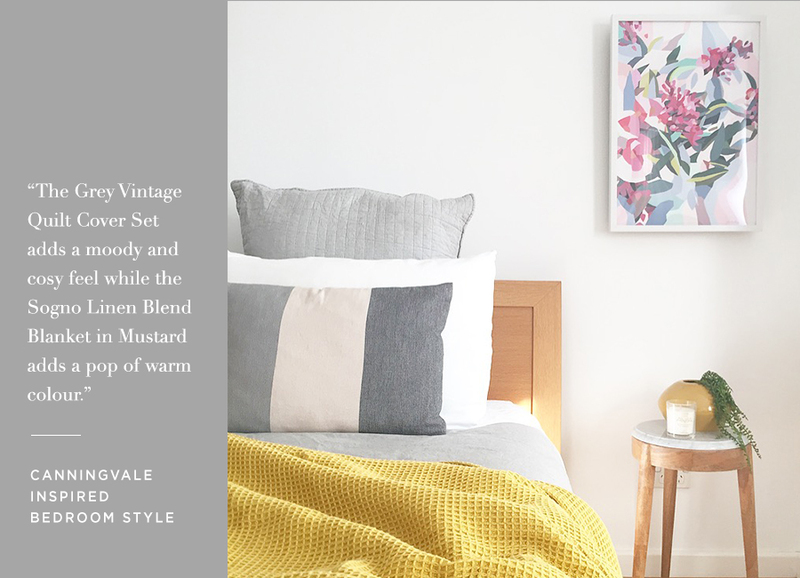 For more styling advice - and some pictures you’ll want to save straight to your Pinterest boards - read our recent interviews with Scandi-loving interior decorators Susie and Sheree and master of colour Kirra Bell .